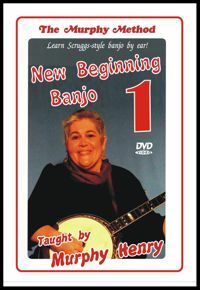 NEW Beginning Banjo 1 (High Definition): Start playing right away! Easy songs, clear explanations. Covers all the basics. Songs build on each other. Lays a solid foundation for moving on to harder songs. Includes chords, ending licks, and beginning improvisation. Designed to have you playing with friends as fast as possible.